It’s Monday, Florida State fans. As your work week begins anew, keep it here for the latest in FSU athletics. The news and notes section of this post will be updated throughout the day. 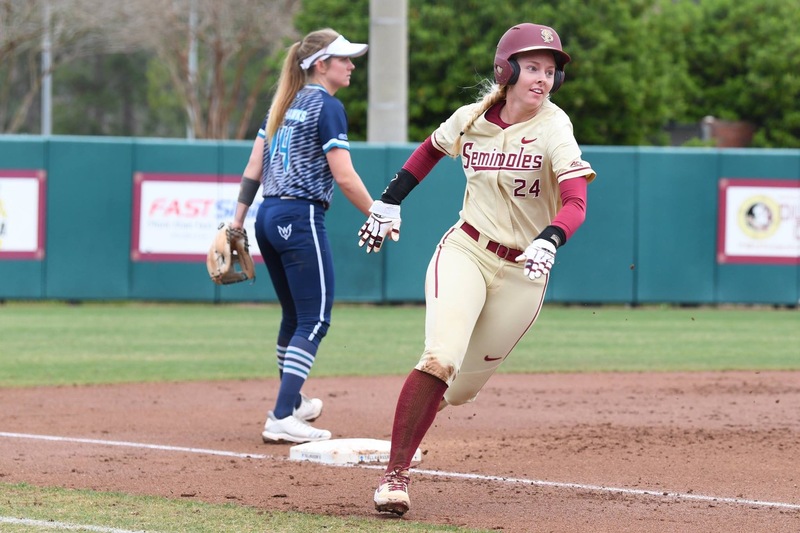 In a match-up of top ACC softball teams, Florida State softball outslugged North Carolina on Sunday, 8-6. The contest was tied 4-4 entering the sixth inning before a Dani Morgan solo home run and a 2-run triple by Cali Harrod provided some breathing room for FSU. Morgan was 3-for-4 with a pair of runs scored while Sydney Sherrill also homered for the Seminoles. Sherrill, Harrod and Zoe Casas all plated two runs in the victory. Brittany Pickett homered twice and drove in four runs for the Tar Heels, but was also the losing pitcher. Meghan King earned the win for FSU to improve to 20-3 on the season. Sunday’s contest was the first game of a 3-game series originally set to start on Saturday. The teams will play a doubleheader on Monday with the first game starting at 4 p.m. EST. Both games will air on ESPNU. In addition to FSU softball, FSU men’s tennis topped Duke on Sunday, 4-3. FSU baseball completed the 3-game sweep of Clemson, 6-4. FSU softball’s doubleheader with North Carolina are the only scheduled athletic events set for Monday. Games begin at 4 p.m. and 7 p.m. EST on ESPNU. Junior college RayQuan Evans committed to Florida State hoops on Sunday night. FSU’s Conor Grady was named ACC Pitcher of the Week on Monday. FSU is back in the Collegiate Baseball Poll at No. 26. FSU alum Brooks Koepka finished second to Tiger Woods on Sunday at The Master’s.